Ace Hardware is your local hardware store and home improvement center that serves in 50 US states and about 60 other countries. The headquarters is located in Oak Brook, Illinois, USA. It was founded by a small group of Chicago hardware store owners in 1924. Ace Hardware stores offer a wide variety of paint, lawn and garden, and tools for your repair and home maintenance. 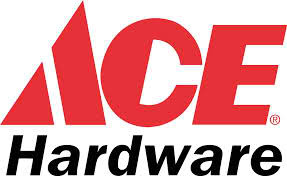 Ace Hardware was founded by a small group of hardware owners, namely Richard Hesse, E. Gunnard Lindquist, Frank Burst and Oscar Fisher from Chicago, Illinois back in 1924. The company was founded to provide centralized purchasing for founders’ and members’ stores. It is named after the ace fighter pilots of World War I. In 1929, the company opened its first warehouse, a 25,000 sq ft. building in Chicago, which served the public unwavering need for tools and hardware supplies. By 1961, its warehouse and corporate headquarters moved to Bedford Park, Illinois with a 450,000 sq ft. which gives much needed space for growth. Their first Super Ace Store was launched in 1946 which showcases a wider aisles and self-service displays. The concept of Super Ace Store becomes a permanent part of Ace. The company’s retail network expanded to hundreds of dealers in 1949 when their annual sales reached about $10 million. When Richard Hesse retired in 1973, the company was sold to its retailers becoming a cooperative and their headquarters moved to Oak Brook. The independent owners became dealer-owners and shareholders of the company. The company’s long-time slogan “The helpful hardware place” has been replaced by “The helpful place”. Their long-time company jingle was also modified with more gender-neutral term. Currently, Ray Griffith is the President and CEO of Ace Hardware Corporation since taking over for Dave Hodnik in 2005. Now, Ace Hardware Corporation does over $3 billion in hardware sales annually. As Break Order Filler, you will prepare a push cart and loading empty totes on the lower and waist level and pushing the cart to start the order filling process. Perform picking duties in an upper level area of the department and climb stairs to reach this area. You must be able to lift, push and pull up to 55lbs throughout an 8hour shift and ability to stand and walk for an entire shift. As Break Stocker, you will stock the bins in the Break Fill area by pushing a materials cart to the pallet and load them into the materials cart. You will fill and refill the bins with the items from the cart. You must be able to lift up to 55lbs repeatedly throughout an 8.5 hour shift. Accuracy is a must. As Full Case Filler, you will fill retail store owner’s orders. You will perform a safety check of the equipment, drive the equipment up and down the aisle, fill orders at designated locations, climb down and puts the item into a container. Drive the filled containers in the shipping area. You must have an experience with forklift operation and able to lift up to 80lbs repeatedly throughout an 8 hour shift. As the receiver, you will move a pallet loaded with merchandise in the receiving area and prepares merchandise for stocking. You will retrieve paperwork from the Receiving Office and prepare documents using a computer. You must have experience in receiving and forklift operation and must be able to lift up to 75lbs as needed. For Ace Hardware Corporation, their distribution network becomes the cornerstone of their success. More than 75 percent of their employees work at their Distribution Centers which uses advanced technology to consistently deliver the highest services to all their retailers. At Ace Hardware they show their appreciation for their employees’ hard work and dedication by offering them the following benefits: Life insurance, comprehensive medical and prescription drug coverage, vision and dental coverage, short-term and long-term disability continuation program, flexible work hours, merchandise discounts, onsite wellness events and fun events throughout the year.